New report claims Rafa has ‘concerns’ about NUFC star & could sell him if he signs new deal – NUFC blog – Newcastle United blog – NUFC Fixtures, News and Forum. 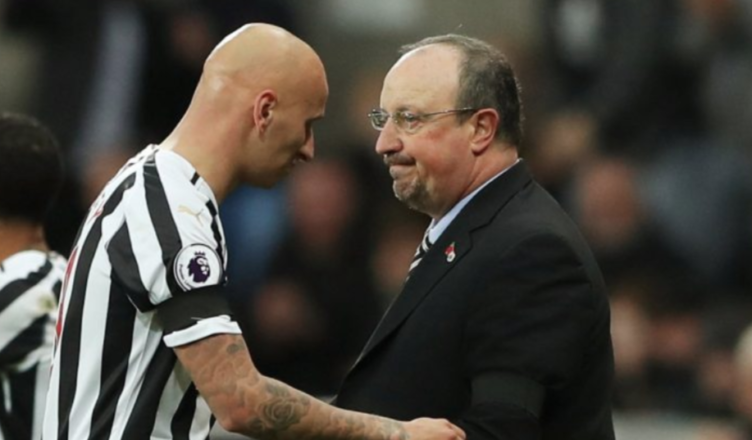 According to the Northern Echo, Rafa Benitez has concerns over Jonjo Shelvey’s ‘work rate’ and ‘willingness to buy in to the team ethic’, claiming he will allow the midfielder to join West Ham if he signs a new deal this summer. West Ham’s interest in Shelvey has been apparent for a while now, and although Jonjo has been a valued member of the first-team over the past few years, we are no longer short on midfield options – meaning his place in the starting 11 is no longer a given. Personally, I’d be keen to keep a player of his undoubted ability and would be eager to see him form a partnership with Sean Longstaff, but if Benitez is having doubts then the writing could be on the wall. ‘WEST HAM UNITED will rekindle their interest in Jonjo Shelvey this summer, and are confident they can persuade the Newcastle United midfielder to swap Tyneside for East London. ‘Assuming Benitez remains in charge, there is a good chance Shelvey could move on this summer, with the 27-year-old having tumbled down Newcastle’s midfield pecking order in the last few months. ‘His passing capabilities have never been in doubt, but Benitez is understood to harbour doubts about his work rate and willingness to buy in to the team ethic, hence his absence from the starting side. If the last line of the above quotes are anything to go by, it sounds like Kenedy’s career at Newcastle is all but over; although his recent performances and exclusion from the side tell me that Rafa’s likely to have made his mind up already. Back to Shelvey and a part of me would be sad to see him leave. His work rate and ability off the ball has always left me wondering how he’d manage in a disciplined Rafa Benitez side, but his quality and game changing ability to second to none. As good as Hayden, Diame, Ki and Longstaff have been in patches over the past year, he’s the best passer of the ball at the club and someone that would be costly to replace. I think this is just another piss poor attempt to create a story out of nothing. If West Ham came in with an obscene offer then yes, we might lose him, but personally I’ve still got him as a starter when fit. Put Shelvey in Alongside Longstaff and Almiron and we might even get Perez into double figures.